The west of Crete is a firm favourite for holidaymaker's who want to experience the real side of Crete, and people who have visited the west of Crete return year on year and never even venture over to the east of Crete. 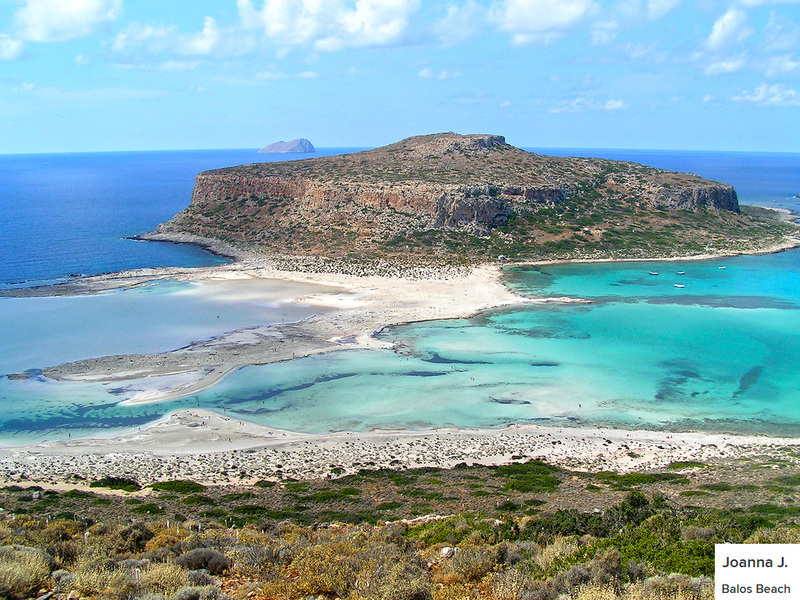 West Crete and why visit? Why do people prefer the visiting west Crete then? Basically it boils down to the many varied resorts and small coastline villages on offer and the warm Cretan welcome you receive when you stay at many of the hotels and small private villas in this area. Starting off in the west of Crete you will arrive in Chania airport, which accepts domestic and international flights, it sits just outside the city of Chania, which is the old capital of Crete and the 2nd largest city on the island. It has some amazing history to explore, with Venetian ruins and architecture to look at, including influences from the Turkish and Byzantine eras. Two of the most important features in Chania have to be the fountain of Rimondi, in the central square surrounded by cafes and Tavernas. Also the Agora cross shaped market, this market is shaped like a cross, dating back hundreds of years and is a market where you can barter and browse the many Cretan wares including honey, fresh herbs, meats and an assortment of hand crafted goods. Moving on from Chania you can visit the Akrotiri Peninsula, where the countryside becomes more rugged and mountainous, here you will find smaller villages of Souda, Horafakia and many more. This is an area filled with caves and gorges which are all open to the public, but beware a good off-road vehicle will be needed to access many of these areas. The beaches in this area are often deserted and you can enjoy a whole day on the beach without seeing a soul. Next visit Rethymnon, the silver and gold capital of the island where you can find exquisite handmade jewellery available in a variety of shops and outlets. The town of Rethymnon also has a great 2km long white sandy beach which wins a blue flag award every year so the sun worshippers among you will be well catered for. If the hustle and bustle of Rethymnon is too much for you then escape over the south west of the island, where you will find the hidden villages of Loutro and Sfakia. Loutro is one of the few villages in Crete that has hardly been touched by tourism at all. In fact the only way to get into Loutro is via daily boat trips or walking to it. Sfakia has some amazing beaches to relax on, and has become very popular area for nudists to visit due to the fact some beaches are never set foot on. The crystal clear waters here are excellent for scuba diving and snorkelling so remember to bring the right equipment. One of the biggest draws to the area of Sfakia has to be Samaria Gorge, the 2nd largest gorge in Europe and home to the endangered Kri Kri goat and some very rare flora and fauna. You can walk the area of Samaria Gorge all through the summer, as the Greek authorities open the national park to tourists ever summer from June until September. To walk the gorge you must be physically fit and be used to walking long and arduous terrain. When you come out of Samaria Gorge you have the welcoming sight of Agia Roumeli, a small port and village where the ferry will take you back to Chania. 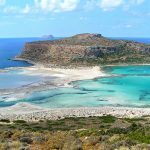 One final place you will see in a number of photographs is the area of Gramavoussa or Balos, this is a large island on the western tip of Crete, with pink sandy beaches, it’s hard to get to in a car but well worth the views and pictures you will come home too. Many people say Balos beach can be compared to the Maldives or a tropical beach. if your thinking about visiting the West of Crete then be prepared for amazing sights, a friendly Cretan welcome and of course a very busy time sorting out the thousands of photographs you will take while there.